Imphal, Sep 7 : Four powerful Naga, Kuki, Hmar and Zomi civil bodies on Saturday categorically rejected the three land and indigenous people's bills passed by the Manipur government and resolved to fight against them together. The four organizations - Hmar Inpui (HI), Kuki Inpi Manipur (KIM), United Naga Council (UNC) and Zomi Council (ZC) - held a joint meeting in Imphal on Saturday. Amid protests in the hills, the state assembly had passed the Protection of Manipur People's (PMP) Bill 2015, Manipur Land Revenue and Land Reforms (MLRLR), Seventh Amendment Bill, 2015 and the Manipur Shops and Establishment (Second Amendment) Bill, 2015, last Monday. 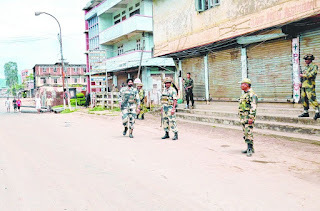 A few hours after the bills were passed, violence had broken out in the Kuki-Chin-Mizo-dominated Churachandpur district and at least eight protesters had been killed in police action. The residences of eight Kuki MLAs and a Lok Sabha MP had been set ablaze by irate protesters in Churachandpur and Chandel districts. A number of government offices had been torched by agitators even as deputy chief minister Gaikhangam said the bills would not infringe on the rights and sentiments of tribals. In a joint declaration, the four organizations condemned the 'brutal action of state police and security forces' in killing the eight persons, including a minor boy, and injuring many others. They resolved to uphold the unity of the Manipur tribes and agreed to fight together 'to secure a common political cause'. The bodies of the eight protesters were yet to be claimed from Churachanpur district hospital. 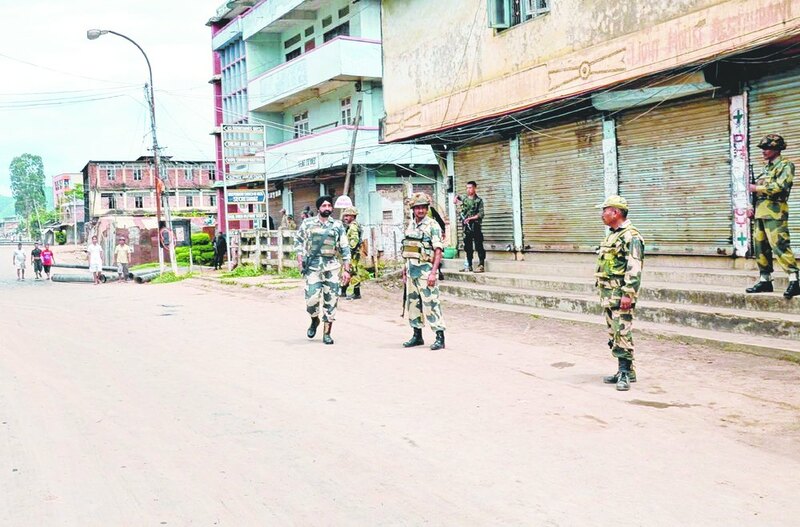 Meanwhile, riot-hit Churachandpur town on Saturday witnessed panic buying of essential items when the district magistrate relaxed curfew from 6am to 12noon. During the six-hour window, people, including policemen, hurried to buy essential commodities, particularly food items and medicines, local sources said. There were long queues outside ATMs, the sources added. Churachandpur is Manipur's second-biggest city after Imphal. That was an pretty interesting and impressive post. please share this type of article.